You don’t have to be the next Picasso to create fabulous art on canvas! 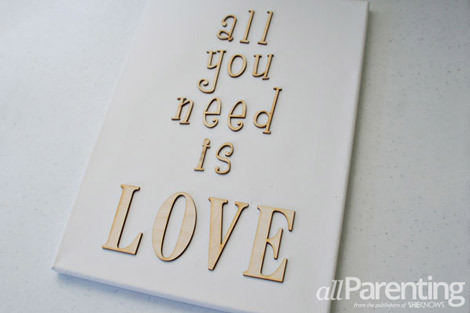 Even novice crafters can transform their favorite quote or phrase into art with this great DIY canvas art project. Simplicity really is the best design, and this canvas art project is no exception. When we started seeing these wooden letter on canvas projects popping up on Pinterest, we just knew we had to try creating our own version. 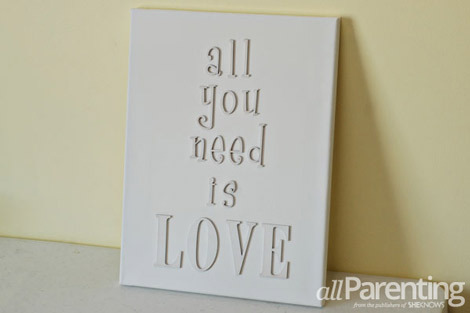 Thankfully, this wall art project is one that can easily be made by any crafter, even if you aren't artistic. 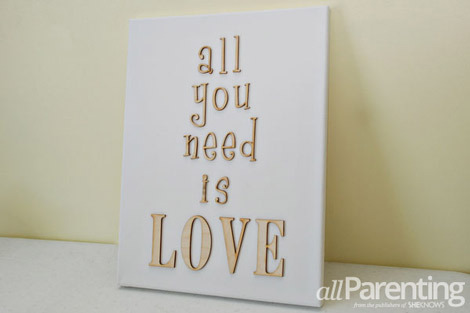 With just a few supplies you can turn any favorite quote or meaningful song lyric into a work of art for your home. Decide how you want your letters to be arranged on your canvas. Lay them out the way you want them to be glued so that you can make sure you have the spacing right. You can order custom letters in any font from here like I did, or you can pick up some wooden letters from the craft store. Put some glue on the back of your wooden letters. 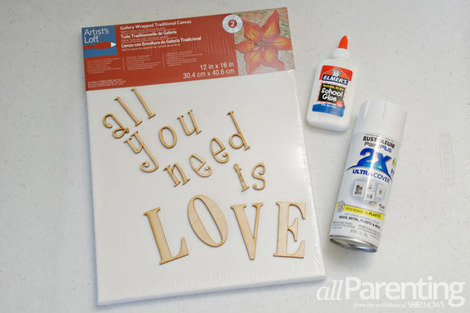 Be sure to use enough glue so that the letter sticks easily, but not so much that it squeezes out the sides of the letter when you press it on the canvas. 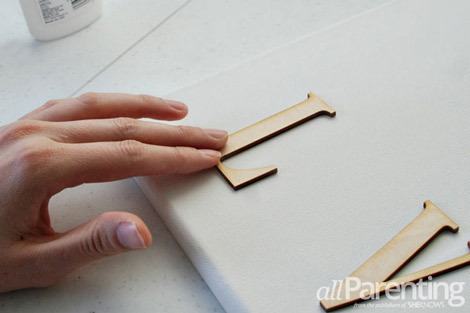 Gently press the wooden letter into the canvas. If any glue comes out from underneath the letter, wipe it up right away so that it doesn't show on your finished product. Keep gluing the rest of the letters down until all of the letters are glued to the canvas, then set it aside so that the glue can dry. 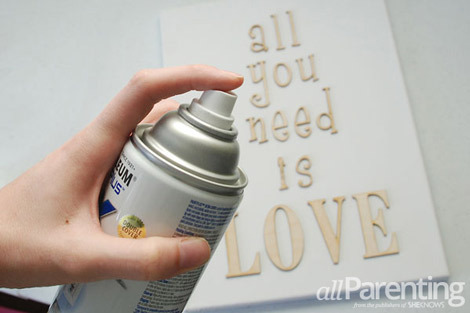 Once the glue is dry, spray paint over the whole canvas, including the letters. Make long, even strokes across the canvas and be sure to start and stop the spray off of the canvas so that you don't get any pooling from excess paint. Let the first coat of paint dry for one hour, then apply a second coat if it is needed. Once the paint has dried all the way, your project is complete and is ready to be hung on the wall.